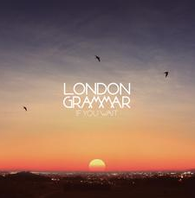 London Grammar have emerged as one of the most exciting international breakthrough acts to be seen in recent times. Winning an Ivor Novello award earlier this year for ‘Strong’ was proof of such innumerable success after their platinum debut album, ‘If You Wait’ sold over 450,000 copies in the UK alone. The band have played multiple sold out headline tours across the UK, Europe, Australia and US and had millions of Soundcloud plays along with being BRIT Award nominated. Now they get set for the release of their latest track, ‘If You Wait’, complete with remix from Shy FX, which is out 12 October on Metal & Dust. Supported by the likes of Annie Mac, Toddla T, Huw Stephens, Mistajam, Annie Nightingale, B-Traits and many more, check the remix out below.